In the past few weeks, there has been a steady stream of media coverage on the damage that the government’s NHS overhaul is already doing to the service. More patients are being forced to go private as open rationing becomes increasingly widespread. Nearly 6000 nurses have been lost since the 2010 general election. And 40% of finance directors surveyed by the King’s Fund expect the quality of care to deteriorate in coming years. At the same time as the Serco data falsification story was breaking, it was estimated that healthcare companies stood to make £20bn from the NHS – nearly a fifth of the entire NHS budget. And of course it emerged that our new health secretary was lining up a former Circle Health staffer as an advisor. In common with many other campaigners, patients, politicians and unions, UNISON fought the Health and Social Care Bill every inch of the way – from white paper to Act of Parliament. But this fight is not over. More traditional campaigning against cuts and privatisation will of course continue – at national, regional and local level. 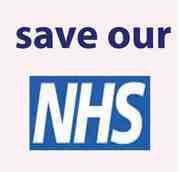 But it is increasingly clear that those that want to protect the NHS must use every tool at their disposal. So UNISON has produced a practical guide on how to influence the new NHS. The guide looks in detail at the often staggeringly complex new system for the NHS and highlights foundation trusts, clinical commissioning groups, patient and public involvement and local authorities as areas where campaigners and union members can seek to make a difference. The guide also offers further information and support for those that want to take up this work. Foundation trusts have always had a membership model and governors, but campaigners and union members have – understandably – often been reluctant to get involved. With all hospitals set to become FTs and with governors given new responsibilities to approve increases in private patient income, now is the time to play a bigger part. There are many concerns about the way in which clinical commissioning groups are being set up, and how they may be forced to undermine NHS services through competition. And some groups are likely to use private sector advisors in “support” roles. Action by the likes of the British Medical Association and 38 Degrees is being taken to try to ensure that CCGs can avoid the top-down imposition of the “any qualified provider” policy that is likely to bring a larger role for private providers. And CCGs must meet in public with some, albeit tokenistic, involvement by patients and nurses – so our voices can be heard. In local government, health Overview and Scrutiny Committees retain the power to scrutinise changes to services and to ensure that proper consultation takes place. The new Health and Wellbeing Boards will involve democratically elected representatives and provide a forum to challenge local commissioners. Local HealthWatch organisations are replacing Local Involvement Networks as the latest in a long line of patient and public involvement vehicles. Although their powers are limited, HealthWatch can get information about changes to services that may damage the NHS and will have a voting seat on the local Health and Wellbeing Board. Of course, much of the system is still being designed – the transition to Cameron’s newly fragmented NHS will not be complete until 2014 – and no one should be under any illusion that attending a meeting or lobbying a councillor is suddenly going to change the world. But those of us that want to see a national, comprehensive and public health service in the future, owe it to the NHS to try. You can download UNISON’s document, “Stronger Together: A UNSON Guide to Influencing the New NHS” here.